Virginia ranked at 26th place in the United Health Foundation’s per-state health assessment for 2013. One of the state’s health-related achievements is the 35% decrease of air pollution level within 5 years. From 2012 to 2013, reports of smoking and obesity decreased, but not significantly. Diabetes remains a main concern for the citizens of Virginia. In 2013, more than 10% of Virginia’s adult population was reported to have this chronic ailment. There is also a major gap in the health status between residents with at least a high school education and those without it. Virginia’s senior citizens, whose majority will be needing long term care at some point, numbered at 1,064,262 in 2012. Below are the average daily cost* of long term care services in Virginia. On September 1, 2007, implementation of the Long Term Care Partnership started in Virginia. LTCI policies came with a minimum Benefit Increase Option in order to be eligible with the Partnership. The TransCare III DRA Partnership policy, an LTCI product recently created by Transamerica, became available to Virginia residents on November 9, 2013. Since January 2014, domestic partners in the state are able to take advantage of the couples discount for both TransCare II and TransCare III. These domestic partners do not have to be formally married, but should be living together for a given time period. Genworth made some changes in the couples discount for its Privileged Choice Flex LTCI product, on sale in Virginia. The changes took effect in April 2013. American General Life, Equitable Life and Casualty, John Hancock, Metropolitan Life, Northwestern, State Farm, and United of Omaha also have official permission to sell LTCI in Virginia. Tax-qualified policies in Virginia that were bought after January 1, 2006 may be subjected to a 15% tax deduction. Aside from Medicare Part B, individuals can also benefit from the ten Medicare Supplement plans available in Virginia. All of these plans maintain uniformity in benefits, regardless of the insurer that provided them. However, costs vary from one county to another. The Federally-facilitated Marketplace takes part in determining the eligibility of state residents for Medicaid. Modifications in the Medicaid eligibility level, regulated through the modified adjusted gross income (MAGI), apply on a periodic basis. Virginia also took steps in joining together the benefits of Medicare and Medicaid into a single plan. This plan, called the Commonwealth Coordinated Care, started its voluntary enrollment on March 1, 2014. Coverage began to kick in after one month. The state’s dual eligibles anticipate improvements as a result of the new Commonwealth Coordinated Care. In addition, the Commonwealth of Virginia oversees a Voluntary Group LTCI Program. This program helps employees in the state government and educational sector, along with some retirees. Advantages include more affordable rates, convenient payment of premiums, and less medical requirements. 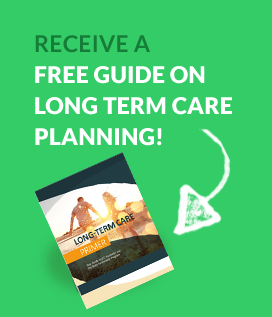 Informs about long term care through a comprehensive guide. Locates care providers, with additional details about nursing facilities. Contains resources about LTCI and insurance carriers, as well as government programs.